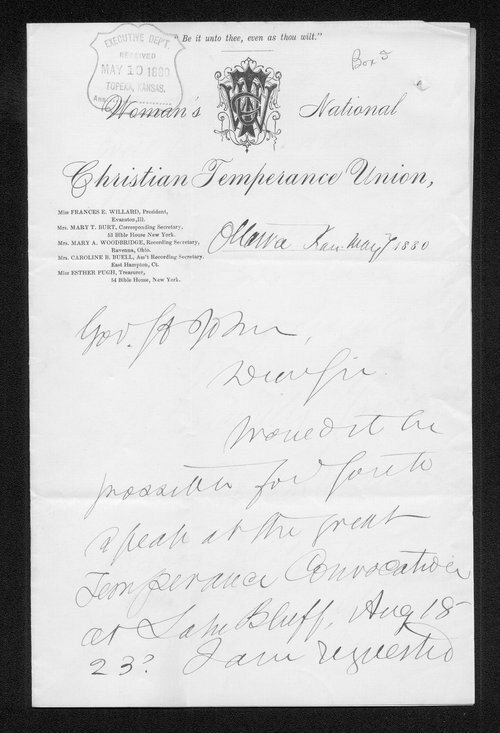 This letter from Frances Willard invites Kansas Governor St. John to address the Temperance Convocation at Lake Bluff, Illinois, in August, which she describes as "a rallying of the clans". Willard was president of the Women's National Christian Temperance Union. She was in Ottawa, Kansas, when she wrote this letter.